Adventure, wildlife, excellent food and history in the Italian Alps! From high historical peaks to the blue mediterranean sea. 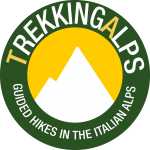 In this section of Trekking Alps will be presented the hiking areas where all the trekking tour are located. The whole area is the West Alps, and the starting point is usually the city of Turin, home of the Winter Olympic Games of 2006. The Alpine scenery in all the hiking area of the Italian Alps are just fabulous. So the question which is your favourite area it is impossible to answer. Italian Alps are so rich and beautiful that is impossible to choose. Every area has his own small features but the Alpine environment is the same. So if it is your fist time hiking in the Italian Alps, don’t overworry about which area to choose. Any area of the Italian Alps will be a fantastic experience. 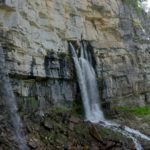 In order to try to summarize the different features of the Area there is here a small list of the characteristics of the hiking areas and than you will find a detailed description in the page dedicated to the single hiking area of the Italian Alps you’d like to trek in.